I can't believe that my friends that I trusted for so long hate me so much. What have I done to them to hate me and dislike me so much. Ever since sasuke and his team came, they either ignore me, call me weak, annoying and useless. I had enough of that I'm fed up of all of them. I'm a member of team seven buy I feel unwanted. They always see me as a weak girl but I have changed. I am trained by the fifth hokage, Tsunade Senju the legendary sannin. Now that I became strong they will all be sorry if not I'll make them feel. "MAMA!!" I screamed as she fell to the ground limp. She had a kunai through her heart and her eyes were closed. "PAPA!!" I screamed, "Sakura....be a good girl alright? I'm sorry your mama and I won't be here to see you and love you anymore. But remember. We will always love you." He breathed out. Tears streamed down my face as it started to rain. I turned around slowly and faced the enemy. He had a smirked plastered on his face. Haruno Sakura's childhood had been ruined the moment her parent died in her eyes. She only had her clan left and need to learn to survive when she is alone in the forest. What she doesn't know is that she is a stronger Prodigy than Uchiha Itachi himself. 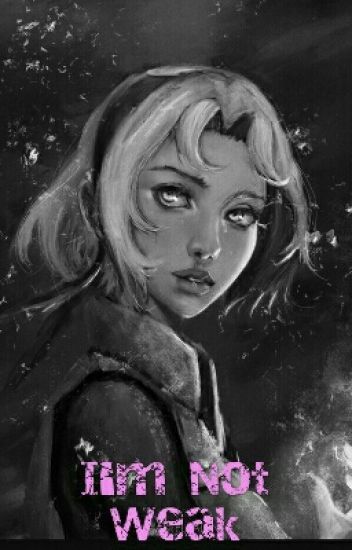 Haruno, Sakura. A weak pathetic useless little girl right? Wrong! She is the queen of the one tail, 2 tail, 3 tail etc. How? She was born, not from Mebuki or Kizashi, but from the nine tails fox and another, a half breed of a cat and wolf. Mebuki and Kizashi are only her adoptive parents, she was by herself since birth. Now it goes downhill once she witnesses there deaths, thinking they were actually her parents. But on a certain mission to the village of the waves, she finds out something else. Read to find out! That's what she was in all of Konoha 12's eyes. Well , minus Hinata , Yamato and Sai. But yeah , other than that no one cared and that made her an empty shell. That empty shell was a perfect weapon for Danzo and he offered her to join ROOT ANBU. Having no other job than being hospital head , she quit her hospital job and joined the ANBU on the catch that she would be partners with Sai. Agreeing , Danzo let her be partners with Sai. This whole event happened when all of Konoha 12 , minus Sai and Sakura  , went to retrieve Sasuke. Why they left Sai and Sakura ? Because sakura was a burden and Sai wanted to be in the company of the girl that first excepted him as a friend. Hinata tried to stay but all of the sensei and the genin forced her to go. Everything went downhill for Konoha 12 when they returned to see Sakura gone. Also she doesn't only become ANBU , lotsa stuff happens. What if it all was an act? What if she never cared about her looks and most importantly what if she was a Clan Heir? Sakura Haruno, was one of the most dangerous person on the planet, her powers surpassing her teachers and her pairs. But she had to act, in order to be safe from others wanting her powers. She is dangerous, powerful and yet powerless. Her name is Sakura Haruno, the Heir of Haruno Clan and she is about to change the world.